Address: Popular Upscale Boutique Hotel in Tamarindo #1 on Trip Advisor! 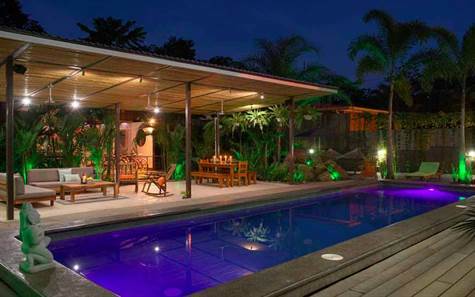 Tropical 16 Unit Boutique Hotel in Tamarindo! #1 on Trip Advisor! 10 existing with additional 6 units currently under construction in time for this tourist season! Great ROI! Beautiful and Contemporary, large rooms/suites are located just 700 meters from Tamarindo Beach! Modern top quality US standards construction, Corner lot includes additional 777 meter of land for the 6 units and additional land for 4 more as well! Spectacular 200 sq meter second floor terrace that can be easily converted into owners suite/home. Located close to all Tamarindo amenities including shopping, restaurants, bars but very, very quiet and very private as this property caters to adults 18 and over. This opportunity will not last!